India is hosting the next Commonwealth Games in 2010 and aims to maximize its medal tally in front of the home crowd. But the dream lies in limbo as the draft of its new sports policy is being opposed by many stakeholders. The Indian Olympic Association (IOA) led by Suresh Kalmadi has garnered the support of the International Olympic Committee, the Olympic Council of Asia and the Commonwealth Games Federation in its fight against the Union ministry of youth affairs and sports over the draft national sports policy. As if that isn’t enough, IOA and its affiliated national sports federations have rejected the draft on the grounds that it had several flaws which would force India out of international sporting arenas. Kalmadi has also taken the concerns to Parliament. And, irrespective of the outcome of the joust between the sports bodies and the sports ministry, it seems Indian sports will be the eventual loser. What is the new sports policy about? “Pyramid structure". “Long-term benefits and rewards", “talent hunting"and “sports development matrix" are some of the management terms that strike as one glances through the new, 50-odd pages of what comes across as a comprehensive policy document. It is accompanied by a lucid, self-explanatory, interlinked matrix which shows how sports in the country can be driven through a “systems" approach. What is so significant about discussing this policy? First, 770 million people are under 35 years. Of these, only 50 million have access to organized sports. Surely, we need to reach out further, in search of potential athletes such as P.T. Usha or the current world boxing champion, M.C. Marykom from Manipur. Second, India is poised to host an array of international sporting events in the next five years—this offers various business opportunities. Finally, the state list of the Seventh Schedule to the Constitution has clubbed sports with “amusement" and “entertainment"—hence the urgent need to place it in a more consequential and serious context. The positives lie in the draft’s boldness and admission of past failures. It also talks of transparency. That, perhaps, is the first step towards resurrection. Officials admit that the administrative and management record of the “terrible trio"—the Sports Authority of India, IOA and the All National Sports Federations—has been poor. Ironically, all three are funded by the ministry but don’t respond to the demand for accountability. The draft says all three need to be “revamped, rejuvenated and reoriented." Within a few hours of being put up on the ministry’s website, the draft created a stir among the heads of sports federations—big politicos, cutting across party lines—as well as many bureaucrats. It also managed to unite the former group in a way that other pressing issues of national interest have not been able to. The second remarkable aspect of this draft is that it provides for a big reward for the sports federation on the basis of current performances and projection of medals in the future. In true management style, the ministry is perhaps adopting the ROI (return on investment) model. Rewarding lesser-known sports such as women’s hockey and equestrian indicates the intent. 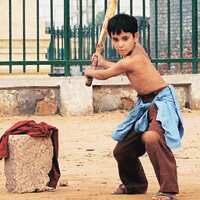 Third, the draft addresses two of the biggest problems affecting Indian sports—lack of space and lack of a sports culture, (according to the seventh all India survey, nearly half of the schools and colleges in India don’t have adequate playgrounds). Physical education and sports has been recommended as an integral part of the curriculum up to the higher secondary level, to be enforced by 2010. Importantly, for the first time, a managerial approach has been taken for Indian sports, in the form of a sports development matrix. This involves all stakeholders and maps their contribution and responsibilities at all levels. All parameters are interlinked and are performance related. Yet, the positive intent of the draft doesn’t seem to be backed by adequate content. Public-private partnership is the buzzword in international sports today. Globally, the state creates the infrastructure, and its management and funding is left to the corporate sector. About 30% of the 2012 London Olympics is being supported by various companies. The draft fails here. The recommendations seem to rely heavily on the Cuban model of sports revival. Exploration and customization may be a good idea rather than simply replicating the eastern bloc’s approach. Also, while there’s an intent to nab erring sports officials indulging in well-known malpractices, the question arises whether the sports ministry is adequately equipped. Another gap is the failure to address the issues of doping, overaged players, unfair selection procedures, diet at camps and the lack of sports equipment. Nonetheless, if even half of the intent expressed in the draft to deal with the inadequacies in, and mismanagement of, Indian sports—sans fear of favouritism from anyone—translates into effective measures in our lifetime, our future generation would have adequate playgrounds and high- profile career options.